T&D UK distribute ABB indoor high voltage fuses - the ABB fuse ranges include : capacitor fuses, current limiting fuses, HRC fuses, motor fuses, transformer fuses and expulsion fuses. ABB is a leading manufacturer of high voltage fuses used as main or back up protection elements of electrical systems and apparatus. Fuses (commonly referred to as High Voltage Fuses) are classified as current limiting and non-current limiting (expulsion). ABB fuses are designed based on wide application experience coming from designing of protection in high voltage systems and coordination with ABB products where fuses are applicable (air and SF6 insulated switchgears with load break switches, distribution transformers and contactors) - ABB knowledge gives principle for optimal high voltage circuit protection with special attention to safety and reliability. ABB fusegear includes high voltage electrical products for short circuit and overload protection with fuse links in low voltage and high voltage power distribution and motor control centers. 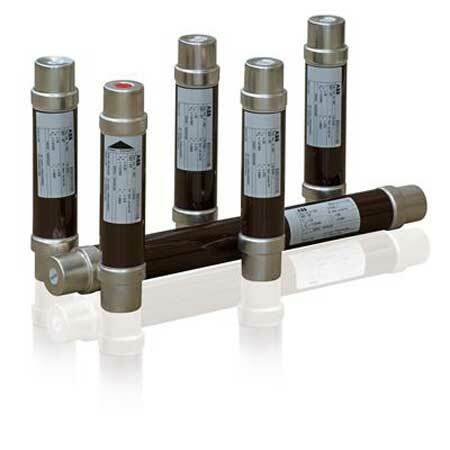 ABB portfolio covers products series such as ABB Fast Line (Fuse Switch-Disconnectors), ABB In Line (Fuse Switch-Disconnectors & Fuse Bases), ABB Easy Line & XLP (Fuse Switch-Disconnectors) and ABB Slim Line (Switch Fuses Tier Type). ABB provides high voltage utility, industrial and commercial customers with safe, reliable and smart technologies for the distribution of electricity - ABB extensive global offering includes distribution automation products, switching, limiting, measuring and sensing devices, switchgear, modular substation packages and related services.